Dalmatians say: To taste good, a fish must swim three times – once in the sea, once in olive oil, and once in wine! Although I’m generally not a fan of munching olives, I have to admit they are good in combination with cheese and anchovies to accompany a glass of wine. And I definitely do like a good olive oil. We’ve recently tried different types from California, Spain, Italy and South America, and are beginning to appreciate the variation in flavours. 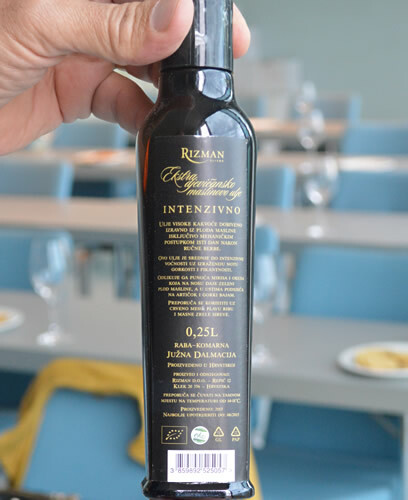 We’re now hoping to expand our somewhat sparse knowledge to Croatian oils, as there are some fine examples of artisan extra-virgin olive oil on the market from around Dalmatia and Istria. With that in mind, we attended a seminar at April’s Dalmatian Wine Expo, given by Dr sc. Mirella Žanentić, and Rizman, producers of some wonderful wines and olive oils. The presentation was somewhat technical, concentrating mostly on the process and quality of oil production, and I thought they rather missed an opportunity to spread the word about local products and the different olive varieties grown here. 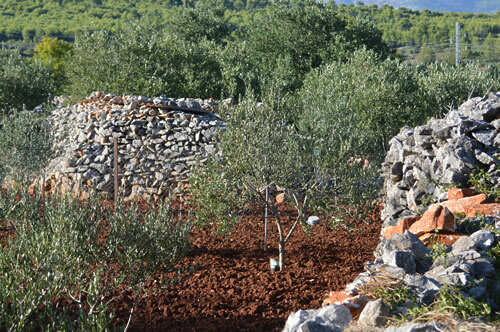 Let’s start with the basics of olive cultivation in Croatia. 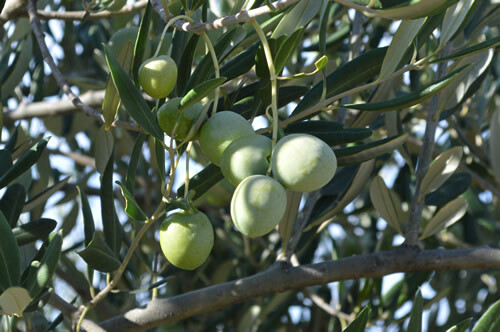 Olives are grown from Istria in the north to Dubrovnik in the south, along the Adriatic coast and on the islands. Also in Inland Dalmatia, though further north winters are much too cold away from the sea. The olive trees were probably brought by the Phoenicians or ancient Greeks, and cultivation was further developed by the Romans. So we’re talking at least two millenia of olive cultivation on the Adriatic coast. 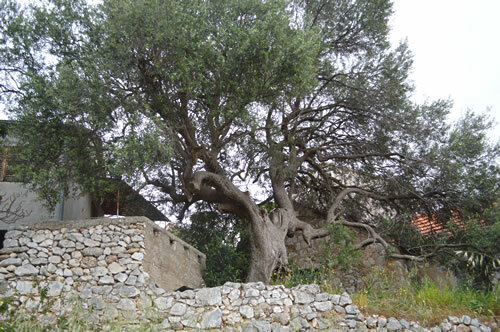 Some olive trees are reputed to be extremely old – for example one in Zastražišče on Hvar, another in the Kaštela area possibly 1,500 years old, and a very famous one on the island of Brijuni, confirmed at 1,600 years old. There are also many instances where the original tree has died, but the stump is surrounded by the next generation of shoots grown into new trees. Most of the olive production in Croatia is on small plantations, many parcels less than a hectare in size. 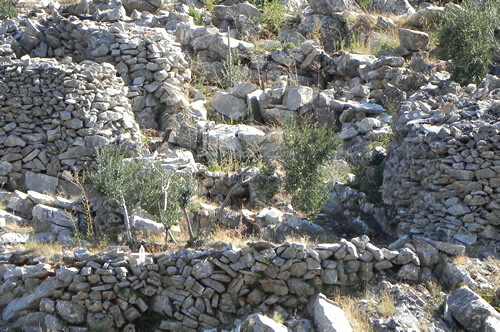 In Dalmatia, you can see why that is so, given the steep terrain and poor soil collected behind retaining dry-stone walls. So the types of olive grown here must be pretty heat resistant and drought tolerant. Further up the coast, in Istria, there are different varieties grown, ones that can better tolerate cold and strong winds. The top five domestic varieties are shown on the above slide. Unfortunately that was pretty much all we were told about the varieties, so I’ve been doing some background reading. I thought I’d at least like to be able to recognize the different types of trees when I see them growing! Oblica – the most widely grown variety in Croatia, cultivated from ancient times. The tree has a rounded crown in the shape of an open umbrella. 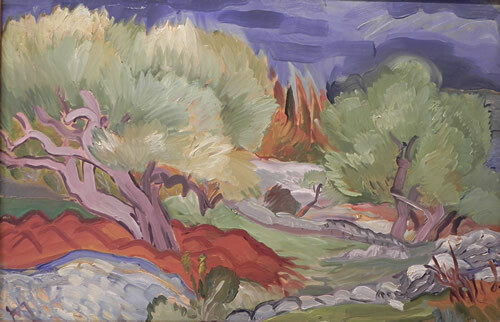 In the past it was usually planted around the edges of fields, as in this quote from author Vladimir Nazor “My father’s vineyard crowned by a wreath of green olives“. The fruit is roundish, and on ripening the colour changes from green to yellow, then to red and ultimately black. One of its features is the ability to regenerate – ie the circle of new growth around an old stump. Also has been transferred to other parts of the world- South Africa, Australia, China, California and even Japan – but not with any notable success. Its oil has the smell and taste of ripe olive fruit, slightly spicy and bitter, with a pronounced sweetness. Oblica is considered a native variety because it has been cultivated here for over 2,000 years, and is thought to have originally been brought from the Middle East. The first descriptions of this sort were given by the Roman author Columella in his 12 volume book “On Agriculture“. 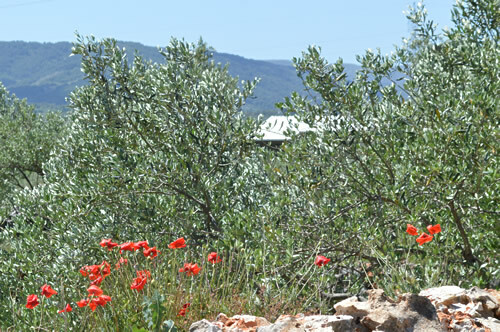 This variety constitutes about 90% of the olive trees on Hvar. It can survive in poor and/or shallow soil and is able to tolerate strong winds. Lastovka – Another roundish tree that resembles an open umbrella, and a trunk that is usually low and forked. The olives are small ovals with rounded top and flat bottom. The green colour gradually turns to dark purple and then black when fully ripe. The variety is highly resistant to severe and prolonged drought, but very sensitive to low temperatures. It’s grown on the islands of Šolta, Brač, Hvar and Korčula (where it is the most common variety), and throughout southern and central Dalmatia. Lastovka is Croatian for a “swallow”, because its fruiting branches resemble the wings of that bird. According to research, it is a natural cross between a cultivated variety (possibly Drobnica) and a wild olive. It produces high quality oil with a pronounced bitterness that comes from high levels of polyphenols, which are particularly pronounced in dry years. Levantinka also known as Šoltanka – The tree has a very lush, spherical crown, and prefers better soil and position. It has the potential for higher yields than other native varieties if watered regularly. Drought tolerant and moderately sensitive to cold. 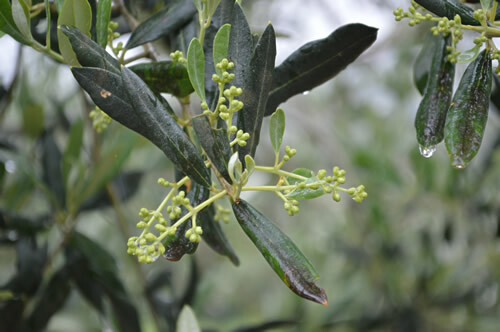 The olive is medium-sized, elongated oval, carried in clusters of 3-5. The green fruit gradually turns red-purple and finally black. On the island of Šolta, it has been cultivated since the 19th century, and this is the only place where a single varietal oil is produced (See link to Olynthia at the end). The origin of Levantinka not clear, it’s considered a domestic variety, though the name does suggest that it came from further east – perhaps Greece or Asia Minor. 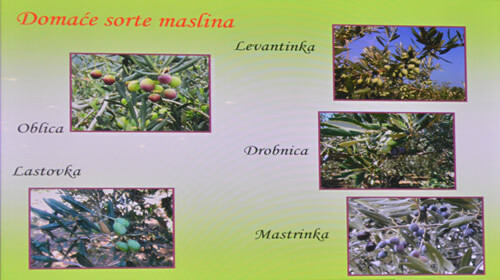 Third most popular type of olive in Croatia, Levantinka is only grown in ​​Central and South Dalmatia, and most of that is on Šolta. However, the last 20 years has seen increased interest in planting this variety due to the self-pollination and potential of higher yields. Drobnica – An upright tree, quite tall with sparse foliage and a large trunk. Not very good in windy positions and only partly drought resistant. Small olives, roundish oval that start light green and ripens to wine-red or purple. Rarely goes black. Authentic old Croatian variety, found along the entire coast and on some islands as companion to Oblica. Has many local alternative names! Most common in the Zadar area, along the Makarska Riviera, the island of Korčula, and further north in Istria and on the island of Krk. The oil is very piquant and delicate, with a fine bitterness and somewhat pronounced sweetness. 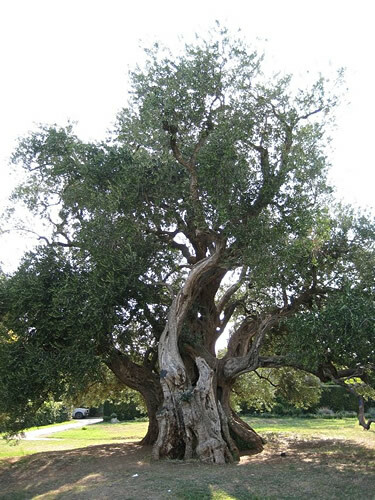 On the island of Korčula are some very old trees and it’s considered the oldest olive variety in this region. Mastrinka – would appear to be a native wild olive, mainly used as a pollinator of the domesticated olive. The olives are very small and not many of them. In the Kaštela region, the 1,500 year old tree is known as Mastrinka. For completeness, I’m going to add a few varieties that are grown in Istria and the Kvarner coast. Rosinjola – Istrian variety mostly grown in Rovinj, Vodnjan and Vrsar. Produces an oil that is mild and quite spicy with a gentle bitterness. Istarska bjelica – grown in Istria (Buje, Poreč) and Kvarner, as well as in Italy and Slovenia. One of the most resistant varieties to cold and stormy conditions. Olives are oval, starting light yellow-green developing to reddish-purple. Produces high quality oil with pronounced spice and bitterness. Buža – the most common domestic oil and table olive variety in Istria. Has a number of subtypes. Depending on the harvest time the oil has a medium to strong fruity flavour. Excellent quality, well balanced bitterness and spiciness. Debela – extremely wind-resistant, so grown on islands (eg Lošinj and Krk) where the bura would otherwise strip any trees from the landscape! 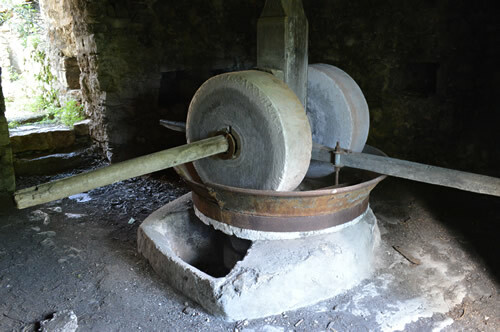 The method of production begins by crushing or pressing the fruit into a paste, using large millstones (traditional) or steel drums (the modern way). The paste is then slowly churned or mixed to allow the oil droplets to accumulate. The oil is separated from the paste using a press (traditional) or a centrifuge (modern). After extraction of the oil, the remaining solid is the pomace, which still contains a small quantity of oil. After pressing, the oil is left for 30 days for the solids to precipitate. 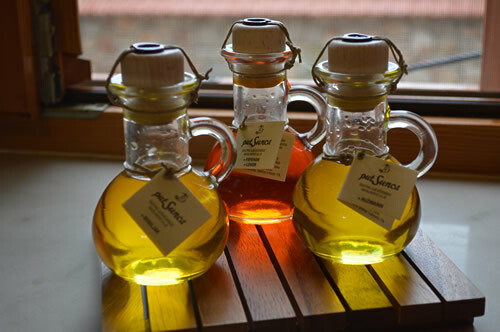 The oil must be stored very carefully, to avoid deterioration due to temperature (too high or too low), light and air. The official International Olive Council (IOC) grades of olive oil have their Croatian equivalents, which you should look for on the labels. 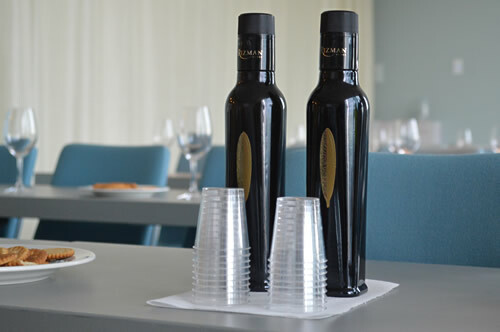 We’re finding locally that there are small bottles of lovely artisan extra virgin olive oil available. Ivo Duboković, for example, produces flavoured olive oils that are wonderful additions to my cooking repetoire. Meanwhile Frano Miloš, over in Pelješac has recently won a gold award in New York for his mixed variety olive oil, for the second year in a row! The number of olive plantations in Croatia is expanding, and we can expect improved quality and choices coming soon. 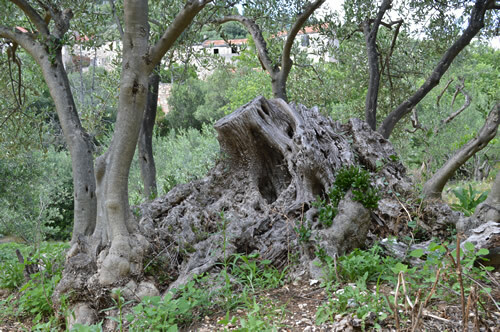 The number of trees is still not up to the level of pre-World War II, as many olive groves were abandoned or torn up and replanted during the communist era. With new plantings and interest, that is set to change. Sadly, the 2014 olive harvest is not turning out well. That appears to be the case for most of the Mediterranean olive producers, with the single exception of Spain. It’s been due to a warmer than usual winter followed by a soggy wet summer meaning less fruit and lower quality. And, to top it off, there has been a widespread infestation of olive fly parasites causing additional damage. Let’s hope for better conditions next year! Dalmatian Pašticada with Tuna – a very tasty dish! Fascinating account of the process and history of olive oil in Croatia 🙂 It will definitely give us a new perspective in our travels there, and we’re bookmarking this to use as a homeschool resource before we arrive. Thanks! such an interesting article! I had to re-blog it!